Ask most book lovers about Kindle, and they will often say that they just cannot buy the idea of reading from an electronic device. Ask any book lover who actually owns a Kindle, and they will tell you that they are absolutely in love with it, and wonder why other things can’t be so convenient. I, am somewhere in the middle. I love the Kindle, and think it is one of the best inventions ever, or at least e-ink is, but I still love the feel of a good book. Enter Proporta’s Kindle Case, which takes your Kindle, and turn it into a stylish leather bound book. Well, at least that it what it looks and feels like on the outside. 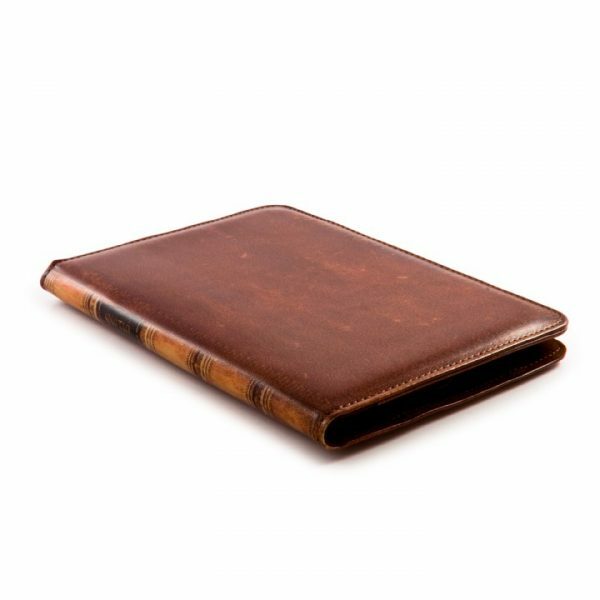 Made of real leather, with plenty of padding on both sides, this case gives you the old fashioned book feel you want from it. Some Greek letters show off as the name of the book, and the back has a very subtle ‘proporta’ inscribed. Inside, you can find four elastic loops to hole your Kindle, and the left side features a little pocket to squeeze in bits of paper, CDs, and such like. The inside is padded with a soft fabric, giving the case a nice, secure and soft feel. Putting the Kindle in and out is quite easy, thanks to the four elastic loops. The elastic loops also mean that this is compatible with all Kindles yet, and any thing else that may be of the same size. Once installed, the bottom is still exposed for you to press the power key on or off, and charge it. Once in, the Kindle is safe, and no amount of shaking or flapping the case loosened it, or even threatened to loosen it. There is no tech in this case, no magnetic tab to keep it shut in a case, or automatically power off the Kindle. Nah, this is just a good old fashioned leather bound case, which offers your Kindle some comfort and warmth. Since it doesn’t automatically shut based on magnets, or stay shut because of them, there is the slight risk that your Kindle may open inside your bag. However, for that to happen, you need a massive bag, and some other items inside to damage it. Generally though, you will find that the Kindle case provides plenty of protection against the elements, and gives you the peace of mind you want from it. 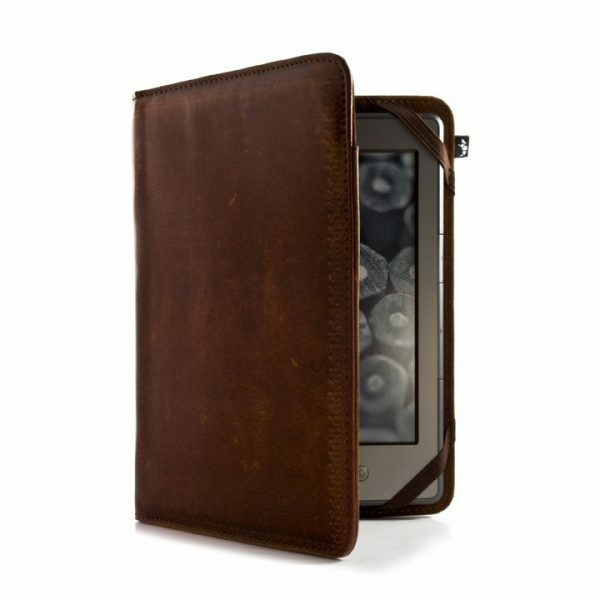 A great case, that gives your Kindle that good old classic book feel.